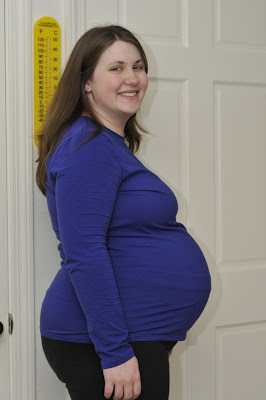 ...the latest belly shots (taken at 38 weeks and 4 days). It's funny how used to your own image you get (ie: looking in the mirror). It wasn't until Joshua took these that I realized just how darn big my belly is. Wow. But I guess since the little one could come any day, it makes sense that we are both feeling a little uncomfortable.